HUK TV Mount is a two bracket fixed mounting system designed with ease of use, limited space or portability in mind. It is perfect for any small space such as dorm rooms, garages, apartments or simply anyplace you would enjoy watching TV. The HUK TV Mount is unlike any other TV mount on the market since it does not require drilling into walls and causing damage. HUK is perfect for lofted beds, railings, ladders, bars and other objects. HUK is manufactured in America using the highest quality aircraft grade aluminum that is anodized to military specifications. SAVE SPACE. The HUK TV Mount is a two-bracket fixed mounting system designed for ease of use,limited space, and portability in mind. HUK makes any small area such as dorm rooms, garages, or apartments the perfect space to hang your TV. WATCH TV ANYWHERE. The HUK TV Mount is unlike any other TV mount on the market and does not require damaging or drilling into walls. Hang your TV outside, in small spaces like garages, or even on a bunk bed! 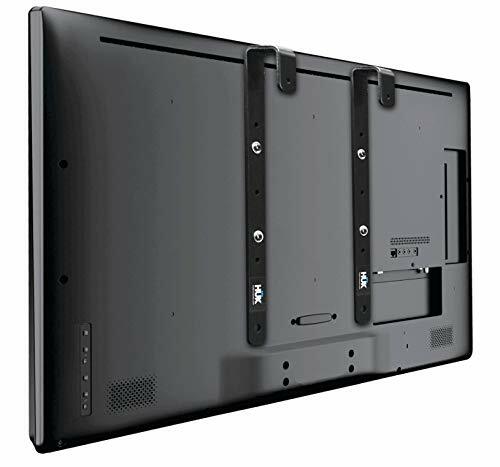 UNIVERSAL DESIGN.HUK was specially designed to be the most portable and mobile mounting system on the market for a wide range of TV sizes between 12 inch- 49 inch and VESA approval for sizes from 75 mm to 200 mm. MADE IN AMERICA.Do not trust your precious TV to a flimsy and cheap wall mount. HUK is proudly produced and made in the USA using the highest quality aircraft-grade aluminum to ensure the best quality TV mount on the market. If you have any questions about this product by HUK TV Mounts, contact us by completing and submitting the form below. If you are looking for a specif part number, please include it with your message.